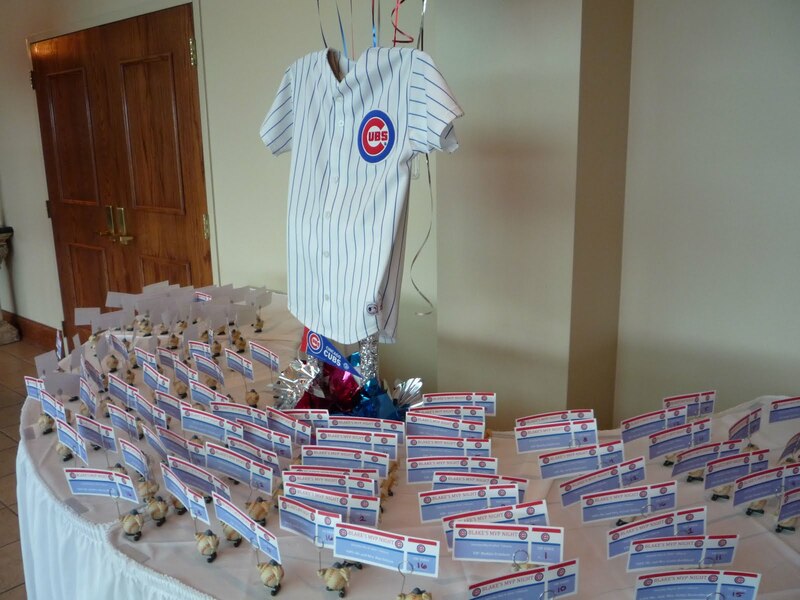 We did a Bar Mitzvah at the Fountains in Carmel last Saturday. 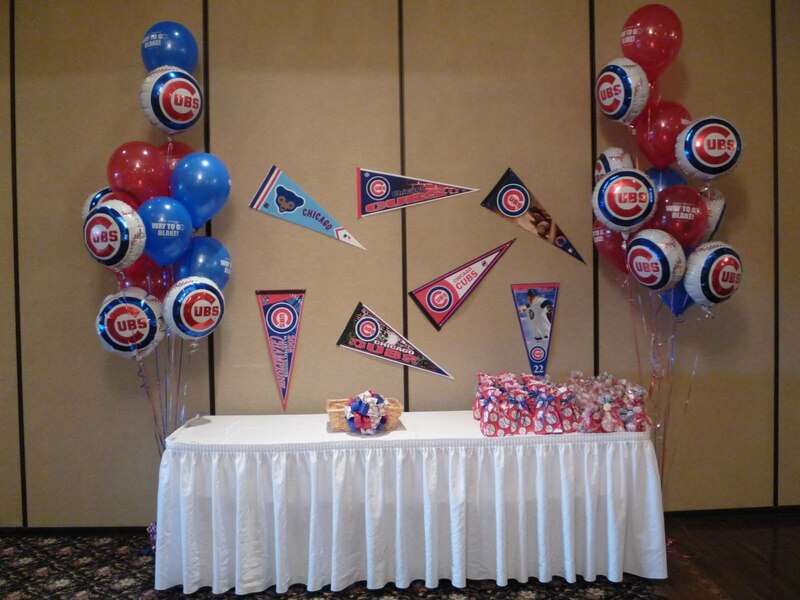 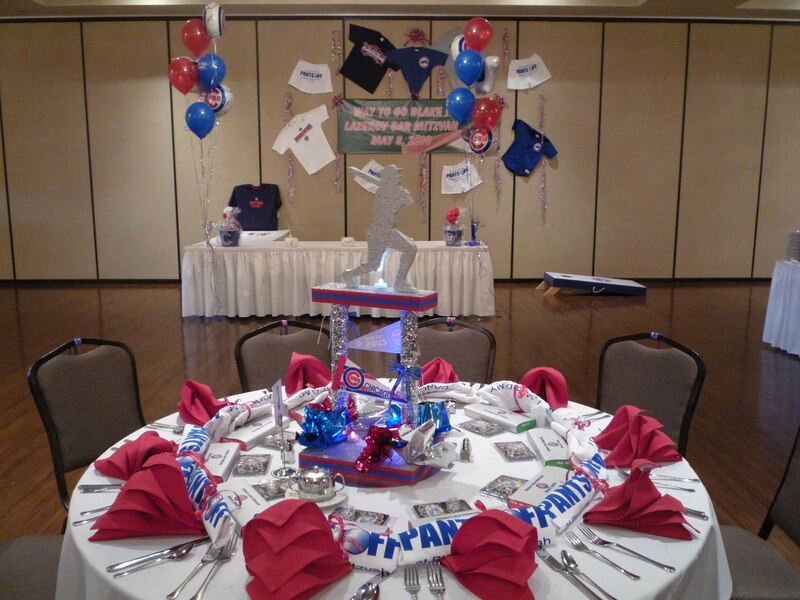 The theme was based around the Chicago Cubs. 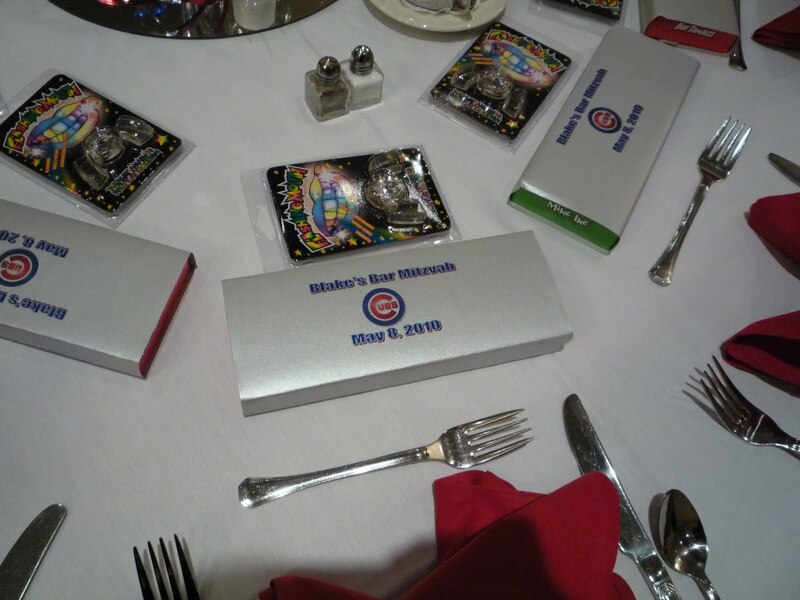 There were baseball holders holding the guests’ table numbers and there were party favors left on the table for guests to take. 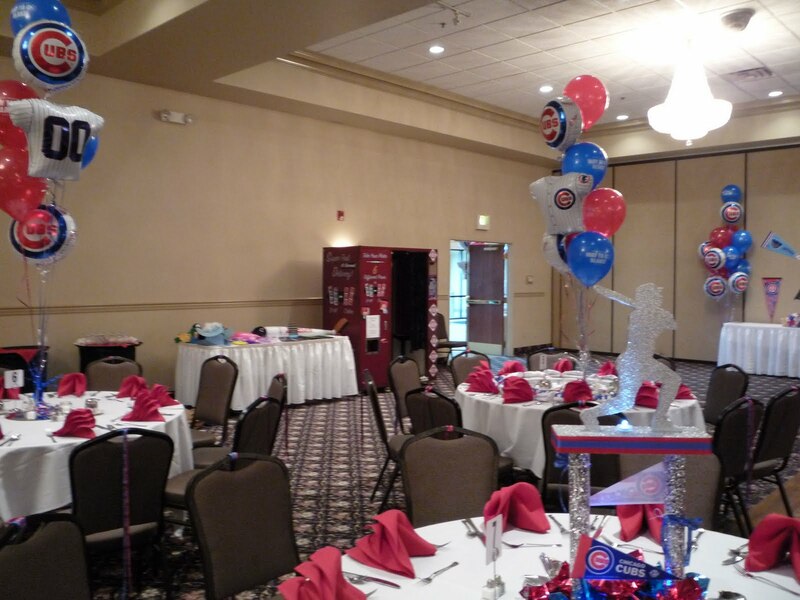 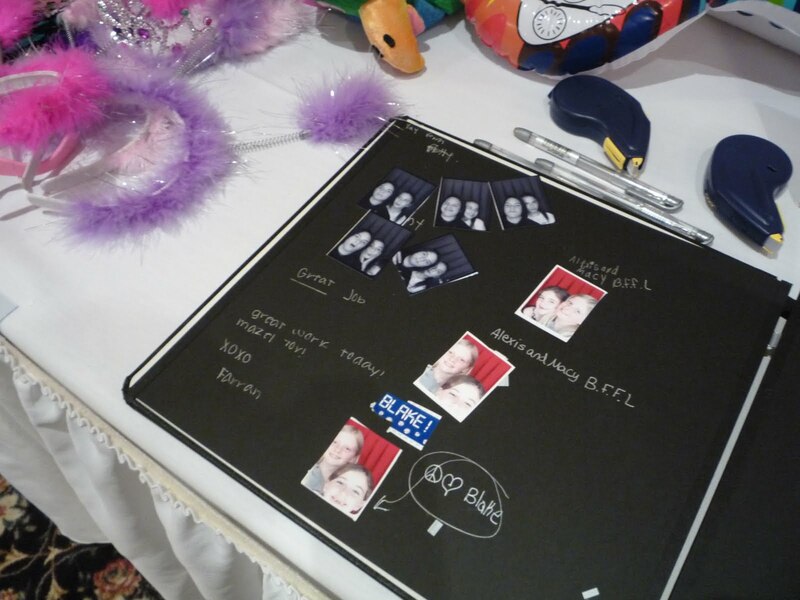 A lot of the guests wore red and blue to represent the Cubs and the photo booth was a huge hit.